In today’s day and age, kids hardly ever walk to school. Or anywhere, for that matter. Even the ones who live down the block get dropped off by parents on their way to work. I can see how this is easier during the morning rush and safer than letting your child wander the streets alone. But kids need exercise. 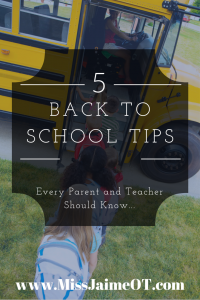 And the truth is, there are easy ways to make sure you are supporting your child’s health and gross motor skill development every single day. 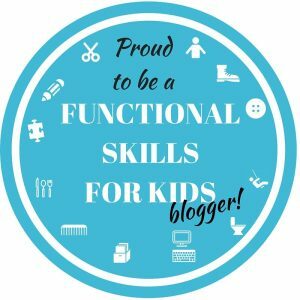 This month’s topic in the “Functional Skills for Kids” blog hop is the Community, so check out the landing page for the rest of our posts and information on all things related! My brother used to give his little daughter a piggyback down the block to her bus stop every morning and back every afternoon. It was their thing. Then one day his back was bothering him and he had her walk home next to him from the bus stop. He said he couldn’t believe how tired she was and how much she complained. “She can’t even walk down the block!” He decided then and there to change up their routine. She needed to walk to the bus stop, and then she could sit on his shoulders to wait. Pretty soon she could do it. Then they started racing each other home. Only a few weeks later, she could beat him. Today, she is a star athlete. Watch out world. Why are children’s core strength, motor skills, endurance, and stamina so poor? Is it our daily routine that interferes with their core strength and overall health? Is this why many kids can’t walk more than a block without huffing, puffing, and asking to be driven? Why are “12 million children and adolescents considered obese, and more than 23 million are considered overweight?” (Facts About Childhood Obesity). 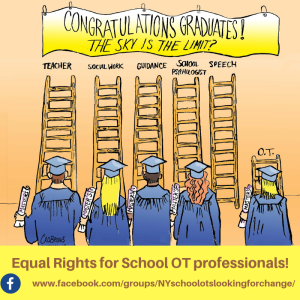 Is motor skill development being overlooked? It could be. Kids just don’t get the gross motor exercise that they use to anymore. They have poor endurance, weak core strength, and decreased coordination. 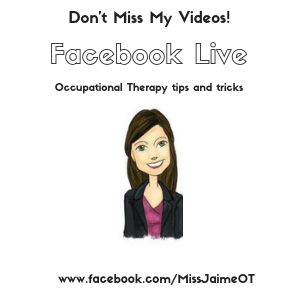 “Occupational Therapists teach strategies to incorporate healthy habits and routines into daily activities for clients of all ages and abilities” (Gupta & Chandler, AOTA). A child’s occupation is to play, and there are many opportunities within the community to use play to improve motor skill development, core strength, endurance, and coordination. Children just need grown ups to show them how. According to the Center For Disease Control and Prevention, “the percentage of children in America aged 6–11 years who were obese increased from 7% in 1980 to nearly 18% in 2012. In adolescents, the percentage aged 12–19 years who were obese increased from 5% to nearly 21% over the same period” (CDC, 2015). The easiest way to ensure your kiddo gets gross motor exercise is to walk them to or from school. If this takes too long, ride bikes, roller skate, take the scooter, anything! Do it just on the way home. Have them take turns pulling each other in the wagon. Anything is better than nothing. If it’s safe, have them go with a friend or a group of friends. Of course, sometimes there just isn’t enough time and it’s not realistic. Parent have to get to work, and they don’t want to leave their kid walking alone or waiting at the bus stop by themselves. It’s a scary world out there. So they drive. If your morning routine is too tight to work in the exercise, squeeze it into the rest of your day or on weekends. There are so many opportunities in the community to get some gross motor exercise in. Many kids love the “Fit Bit” which allows them to keep track of their activity level every day. There are many more affordable options, such as the Garmin activity tracker. 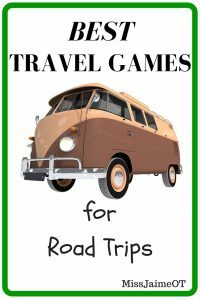 You can even set up a challenge on it between two kids or parent and child. This adds some motivation and healthy competition to the game. The Supermarket – Have your child go through the aisles to get items for you, instead of sitting in the cart or standing next to it. Pushing the cart is great for upper extremity strengthening, and carrying heavy items such as milk or water is heavy work, too. The Park or Baseball field – when other children have a game or a practice play velcro catch, zoomball or frisbee with your child. This is great for working on gross motor skills, but it also works on visual tracking, eye-hand coordination, and upper extremity strength. Not to mention the bonding with Mom or Dad. 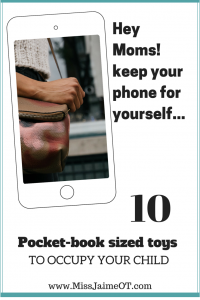 Your backyard or street – parents need the weekends to get caught up with laundry, cleaning, etc. Instead of having kids hang out in their rooms or watching TV, send them outside. If your neighborhood is safe, organize a group game of hide and seek, freeze tag or kickball. So many kids don’t even know how to play these games anymore. Once you teach them, they can do it on their own. Sporting Events – walking up and down the bleachers is awesome for improving balance, bilateral coordination, core strength, and leg strength. Walking or balancing on the bleacher seats is great, too! Curbs and sidewalks – remember “Step on a crack, break your mother’s back?” What a horrible rhyme by the way. But the concept was good. Hop over the cracks. Jump from Section to Section. In other words: move at more than a leisurely pace. Jump down from curbs, try to use them as a balance beam. 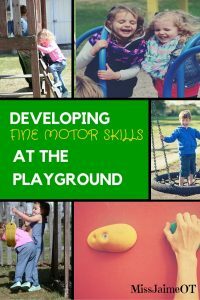 Community resources are amazing for Motor skill development! Your Local Playground – your neighborhood school has a playground, which is not only great for motor skill development, but is also fantastic for socializing, core strength, balance, coordination, and sensory processing skills. Go on the swings, teach your kid how to pump, have them try the monkey bars. It’s a child’s job to play and learn how to move their bodies. These simple movement opportunities can make all the difference in their health. 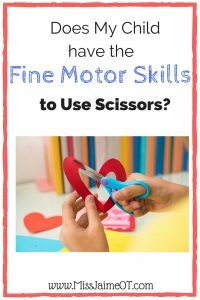 It can even improve their fine motor skills! Many playgrounds also have painted hopscotch boards or four square. Check out our Functional Skills for Kids Landing Page for more ideas on how to use the playground to help your child. The Beach or Local Pool – Swimming is an AMAZING way to work on motor skill development, core strength, and coordination. Not to mention the countless sensory processing opportunities presented by the water, the sand, the smells of the water, etc. For more information about the benefits of swimming, click here. Your Local Library – In addition to reading programs and book clubs, your community library may have enjoyable activities for kids that can promote their health and core strength. Yoga classes, dancing, and even cooking can help promote motor skill development, strength, and coordination. 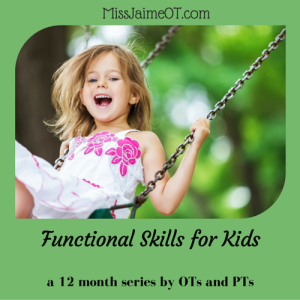 This Motor Skills Development post is part of the Functional Skills for Kids series. Check out all of the bloggers who are participating and learn more about the series by clicking on the link above. 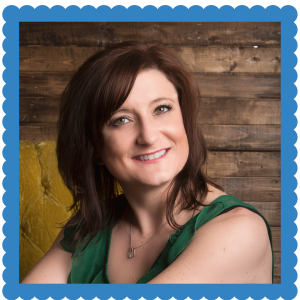 I am a vision therapy optometrist and I agree with most things mentioned here. Nicely done. Gross motor and fine motor develops simultaneously not in a gross motor to fine motor hierarchy. And eyes must lead. The first motor act of any movement is ocular motor. 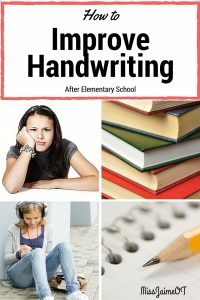 Many children become tactile or auditory learners because they are not taught for eyes to lead. Vision training is an important aspect of this. Thank you so much for your input Dr. Fink!